Charity work and giving back to the community is probably not the thing that comes to many people’s minds when they think of rock bands. Tattoos, black outfits, long hair, loud music, and a rowdy lifestyle sounds more like it. So the fact that Metallica, one of the most famous bands in the world, is taking the time to give back to the less fortunate brings a more pleasant face to this entertainment franchise. It’s something that’s sure to surprise many who hear about it. This band is proving stereotypes wrong and doing what they can do make the world a better place. For this particular rock band, Metallica, the ongoing program that goes hand in hand with their current world tour is not an out-of-the-blue incentive. They have had their own charity foundation, called All Within My Hands Foundation, all along. Giving back is something that’s evidently built into their very core as a band. This goes a long way in showing the world that the rockstar lifestyle is not all there is to rock bands. Call it a case of a book’s cover having nothing to do with what’s inside. This time around, the foundation is financing their charities through ticket sales at each of the tour stops. For every ticket sold, a portion of its cost goes to local organizations whose aim is to feed the hungry in that locality. 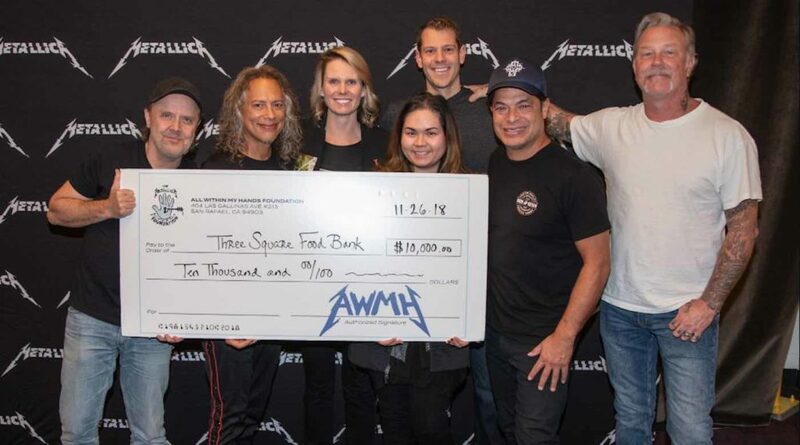 For example, when Metallica performed in Spokane, funds collected from the ticket sales were handed directly to Second Harvest. Second Harvest is an organization with a mission to fight hunger and bring new hope to the less fortunate in that city. This trend will go on in every city on their tour. Given this is a world tour, they’ll be changing lives and leaving an impact in a lot of places. This means that food banks worldwide will be receiving thousands of dollars to help them better advance their missions. Another notable donation sourced from the band’s charity foundation is a $10,000 donation made directly to the Utah Food Bank. According to the Food Bank, this amount will be enough to ensure that 30,000 meals are available to locals in Utah facing hunger. 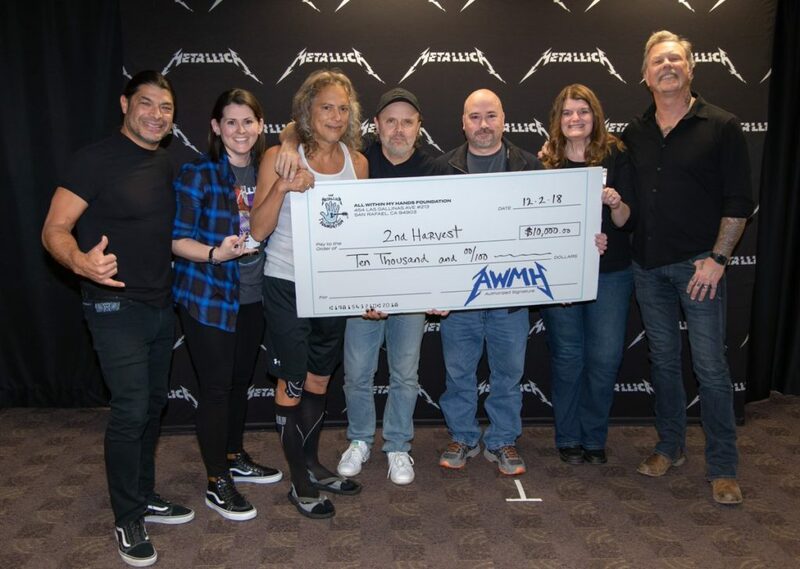 Another donation from Metallica’s foundation that touched lives is a $50,000 donation to benefit the victims of the California wildfires in 2018. This, too, was all from ticket and band merchandise sales. With a total of 159 stops in the tour that spans three and a half years, it’s a given that Metallica will make a lot of difference worldwide. Those are 159 cities, 159 Food Banks, and hundreds of thousands of hungry people benefiting. The tour will take them through three continents, with stops in North America, Europe, Asia, and South America. The All Within My Hands foundation can serve as a benchmark for many other entertainment groups. Such incentives can make a huge difference worldwide.